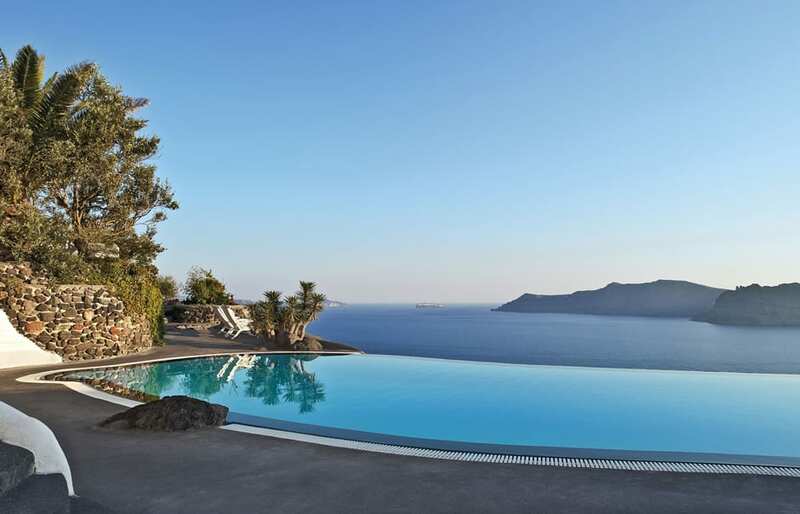 If any hotel on the island of Santorini deserves to be called famous, it is Perivolas. 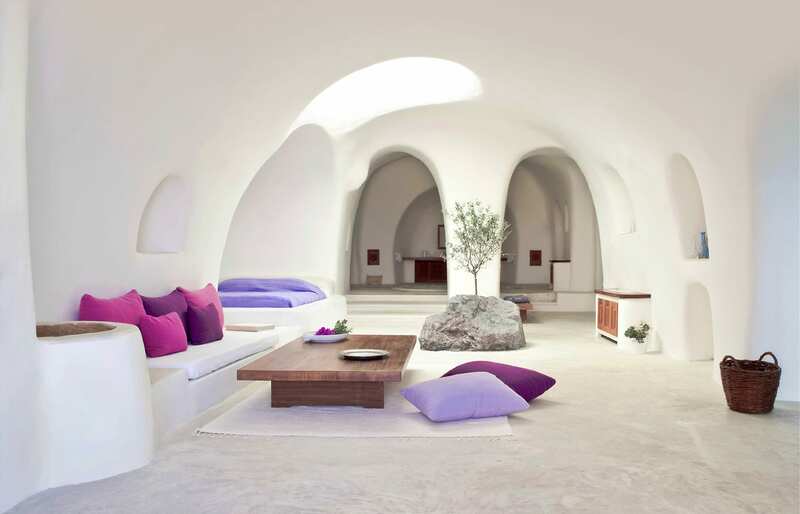 Its magnificent setting, fascinating architecture and organic design makes it the most photographed and talked about hotel in Cyclades. At Perivolas the proven formula of beautiful views, cliff edge swimming pool and minimalist interiors has been applied perfectly, resulting in a truly iconic place. 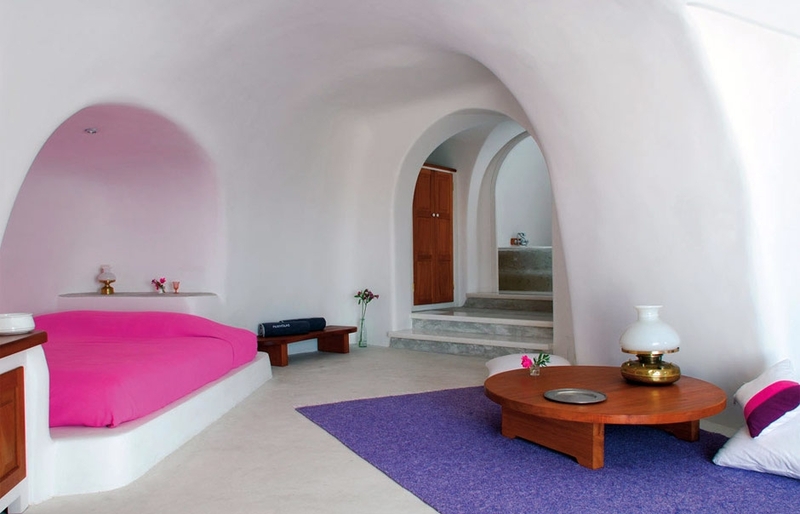 The hotel occupies a collection of 300-year-old cliff-side cave houses, lovingly restored in a traditional Santorinian style—with pure white walls curved into sensual shapes. The meticulously landscaped grounds enrich the gorgeous natural setting. Manicured gardens, blooming with geraniums and wild figs contrast sharply with the bright walls. Inside, the dominating palette is white, with splashes of pink or lavender blue, and decorated with local furniture, antiques and hand-woven materials. The rooms, spacious and comfortable, all have small private patio or terrace. Located next to the pool is a restaurant and bar, furnished with the typical Greek metal tables. 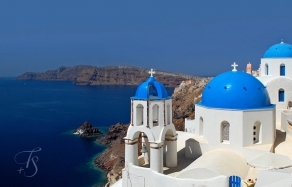 Pita bread & Greek snacks are a speciality at lunch and dinner and breakfasts are rich and varied; with fresh croissants, seasonal fruit salad, creamy yogurt with walnuts and honey, fresh juices and coffee, homemade jams and fresh bread. 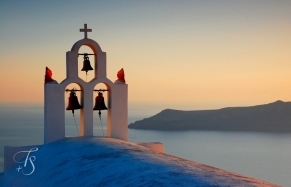 In the archetypically Cycladic setting, situated on top of 300 metres cliff, Perivolas is perfect for enjoying the ever-changing light of day that culminates in the spectacular sunset over Oia. The service is discreet and efficient. In 2011 the British TV channel ITV made a programme "The secret of Mediterranean", presented by Trevor Mc'Donald (Youtube)—featuring Perivolas.